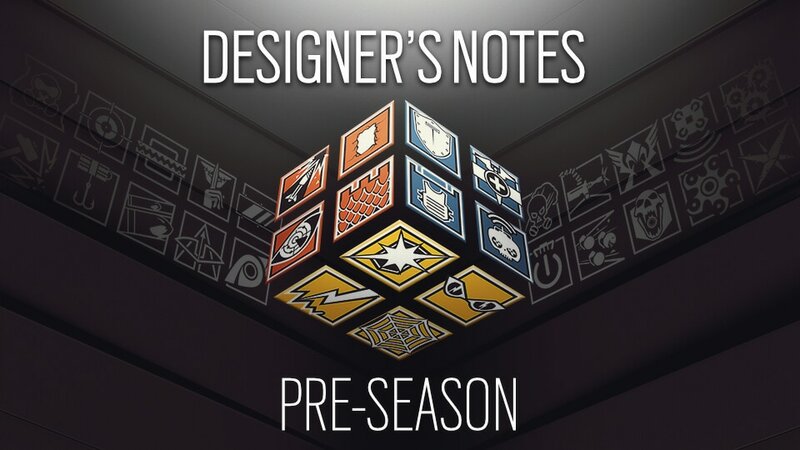 We have two major changes coming in Operation Para Bellum, an Echo buff and Operator speed changes. These changes will come with the Y3S2 patch, and will be available on the Y3S2 Test Server. Echo will receive a second Yokai drone. The max charges for each drone are reduced from 3 to 2, and the recharge time between shots is increased to 20s. Our original intention was to have an anchor that would be active throughout the whole round. We have seen Yokai drones used outside of the site to provide intel, or support roamers with the sonic burst. In other situations, players try to keep their Yokai drone alive for the last seconds of the round. This is especially true in Bomb, to interrupt the Defuser plant. We decided several months ago to give Echo a second Yokai. The goal is to encourage him to take more risks with them throughout the round. This change was not possible then, as the observation tool suite made two drones difficult to maintain. The new interface will allow for switching between the two drones easier. Given that the new observation tool will deploy in Y3S2, we can now implement this change. The drones sonic burst resources have been lowered for balancing purposes. We will keep an eye on Echo’s performances and tweak these parameters as needed. 3 Speed Operators slightly slower. 1 Speed Operators slightly faster. Automatic sidearms (SMG-11, SMG-12, etc) excluded. To us, it is also good for the health of the game to slow it down a bit. Slower movement speeds make for a better player experience, and reduce the impact of things such as peeker’s advantage. There is interesting gameplay potential in having players choose between their primary and a handgun for a movement speed increase. We have seen the impact this has on Blackbeard, and would like to expand this dynamic. Historically, players have selected automatic sidearms over handguns. This will push players towards giving more thought to their secondary weapon choice. We do not expect this to drive a significant change, but feel it is worth investigating. As with most changes, we will keep an eye on the impact during the Test Server and the launch on the Live Servers. We are ready to tweak these movement speed values as much as needed. We will communicate any tweaks prior to their implementation.